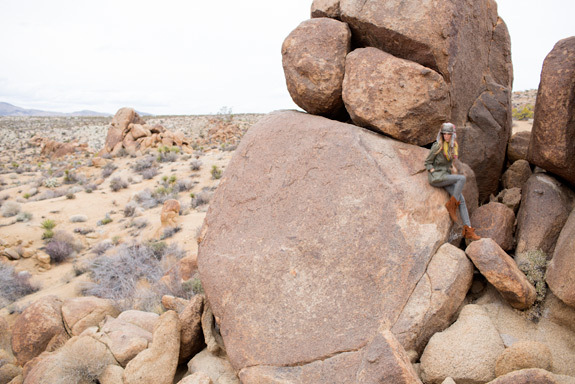 lou and i have been out to joshua tree a couple of times this month to explore… it’s such an amazing place! i wore leopard jeans and a marc jacobs scarf for our first adventure, naturally. and both times my minnetonkas were the perfect shoe to tromp around the desert and practice my bouldering skills. and by bouldering i mean “scooting down giant rocks on my bum”. more after the jump! i really want to get out there again. it's so beautiful. also, that is the perfect outfit for joshua tree.